The construction industry has a worth close to a whopping $10 trillion. With the digitization yet to dwell the industry, the expectations of further growth seem healthy. For the already digitized portion of the industry, Sage is among the most prominent solution providers. Sage 100 Contractor and Sage 300 CRE (Construction and Real Estate) are helping construction businesses of different level manage their operations. Features, such as – project lifecycle reporting, finance management, document management routing, and others, are making life easy for the professionals in the industry. However, is it the best that you can get? Is there something more that you can get out of it? According to a report by McKinsey & Company, major challenges that the construction industry is facing can be segmented into internal and external ones. Internal challenges listed in the report are the shortfall in accountability, talent management, reinventing the wheel, failure to adapt to new technologies, and problems utilizing resources. 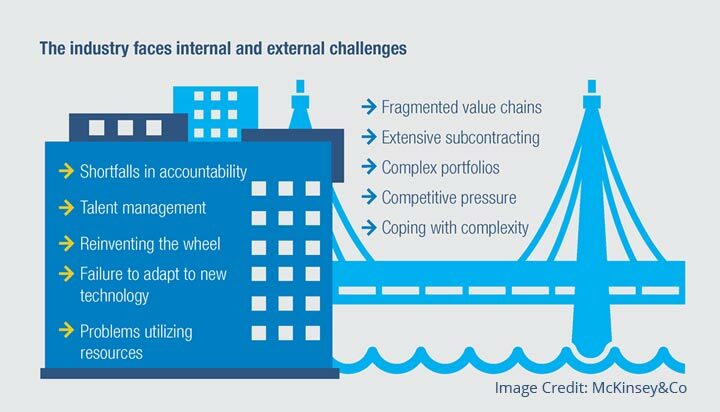 External challenges are fragmented value chain, extensive subcontracting, complex portfolios, competitive pressure, and coping with complexity. Sage’s construction software along with traditional ERP solutions resolve or mitigate the internal challenges to a reasonable extent. However, to manage the external challenges, you need to one-up the basic software set. Cloud solutions with its remote accessibility and easy customization offers a resolute answer to these challenges. Roads, airports, residential, ports, offices, and the list of different forms of construction specifications can go on. Most small and mid-size construction firms prefer to command expertise with a specific kind of construction. However, that’s hardly a case for a business in operation for some years. For one reason or other, you have to deliver different construction types and projects. With multiple projects going on and that too with a different set of activities, the value chain is bound to struggle. Desktop-based solutions have limited compatibility with different add-ons (that serve individual processes more precisely). Managing procurement data, updating raw material inventory at various sites, payrolls of the labors and employees, assigning tasks, managing project status, and others are a few things that work better with Sage construction software when aligned with add-ons. Cloud-hosted Sage solutions are more compatible with add-ons as more and more numbers are shifting to the cloud. Independence of device and OS is another advantage the makes the integration for the hosted applications easy. Involvement of multiple parties, most of which are located separately is one of the significant reasons construction business can’t achieve the best of their potential. Managing a collaboration between contractors, vendors, on-site staff, off-site staff, and other stakeholders is a daunting task. It is not the small or mid-size players that are struggling with it. Even MNCs are unable to find a reliable solution at the ground-level. Sage solutions on the cloud can bring the different parties on the same platform that is accessible regardless of device choices. It enables multi-user collaboration so that all the involved parties can work on the same file simultaneously. With the status of task/project available transparently with the necessary parties, you can expect smooth subcontracting operations. Multi-trillion industry, construction has a broad portfolio to handle. What makes it complicated it that distributed assets with uneven cost varying because of different factors. Managing it all on the same platform with accuracy and least efforts requires tools that go beyond the traditional data entry in Sage applications. You need to deploy the integration of various other add-ons. Cloud brings collective information of your geographically distributed construction projects. 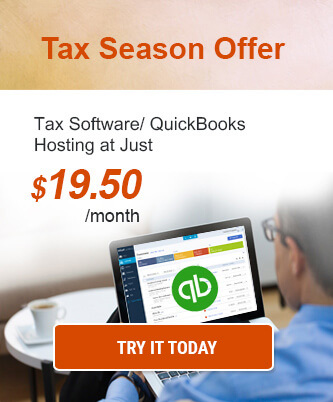 It provides the simplification of integration of add-ons and Sage application. As your ERPs, CRMs, accounting applications, and other business software sharing updated information between them, portfolios of your construction business remain accurate. The construction market is not expecting any stagnancy anytime soon. In its Global Power of Construction publication 2017 (PDF), Deloitte suggests that almost $69.4 trillion of infrastructure investment will be required in the period from 2017 to 2035. Even with the developed economies like US and Canada will account for around 20% of this infrastructure investment. Its obvious interpretation suggests if you are doing better than your competition, you can expect huge profits. 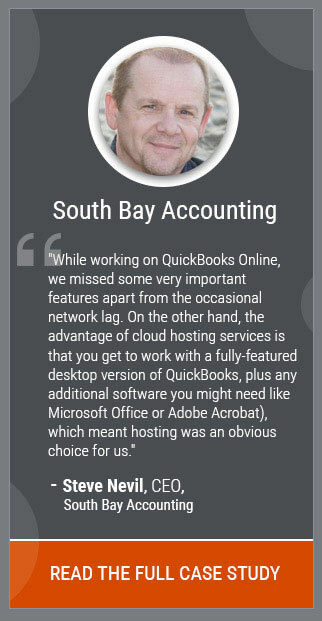 Read more on the advantages of hosting Sage software on the cloud. Such improvements in the business execution help you add value to the services that you offer, which enhances client satisfaction. Cloud adds multi-facet advantages to your work-model to improve your efficiency and productivity, which eventually can help you get ahead of the competition. 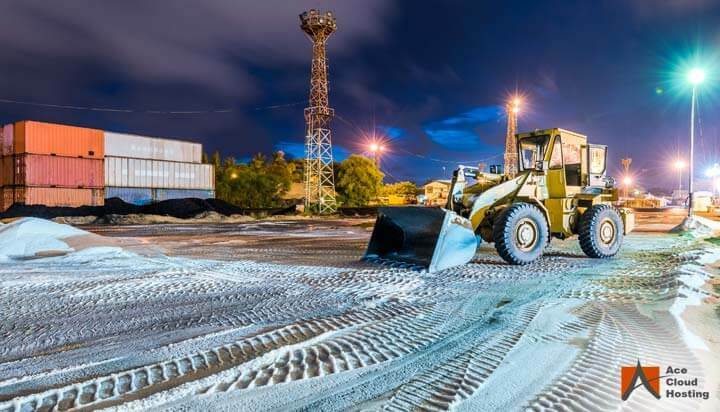 As the construction industry is on the verge of digitization, the usual operations (more importantly the desk jobs) can expect some major facelifts. Adapting with these changes require you to prepare in advance. However, the trouble comes with the fact that most professionals in the industry are not known for their skills with IT. Implementing new technologies can make it even more complex unless it is deployed in a smooth manner. Sage has been doing good by timely updates and keeping them subtle to keep the user-experience smooth. However, switching to the cloud appears to be a big step and even a rough experience unless you are choosing a right hosting partner. Some cloud hosting providers, such as Ace Cloud Hosting, offer complete managed service, which includes setup, installation, maintenance, and upgrades. So, the transition to the cloud remains free of complexities. Cloud has become an essential part of almost every industry. The construction section, being one of the least software-influenced industry, is slow in adaption to the cloud. With the digitization in the sector about to affect, it is high time you go to the cloud and stay ahead of your competition. You can take your Sage construction applications (Sage 100 Contractor or Sage 300 CRE) to the cloud to leverage the modern-day business needs like accessing business information on the go, continuous operations, real-time users collaboration, and others. To understand how hosting Sage on the cloud can help your firms or to avail a free trial of Sage apps, you can contact a solutions consultant now. Nishant Kadian, an Electronics and Communication Engineer, writes about the cloud computing trends such as managed cloud hosting, SaaS solutions, and IT security practices. He has been actively blogging with leading tech platforms since 2014.